At the heart of every successful beta is great feedback. Collecting useful feedback that can be used to improve a product is the core purpose of beta testing. Feedback is only useful, however, if it’s clear, complete, and properly managed. Otherwise, you risk reaching the end of your beta with a mountain of ambiguous data and no clear plan for how to use it. In an effort to help you gather and organize your feedback effectively we’re releasing a new resource based off of the best practices we use in our own beta tests. 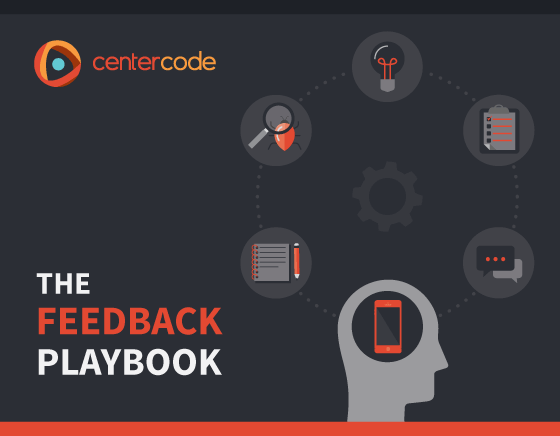 The Feedback Playbook outlines everything you need to know about collecting and managing impactful feedback during a beta test. It will teach you how to cultivate high-quality feedback by understanding and leveraging the psychology of feedback collection. But collecting the feedback is only part of the puzzle. You also need solid feedback filtering and management processes to maximize your results. This whitepaper will equip you with the skills to organize, prioritize, and contextualize your data, so you can get a clear picture of how to improve your product before it’s launched. By implementing these best practices, you will see an increase in tester participation and the quality of your collected feedback. You will also walk away from your beta test with a comprehensive understanding of what improvements will have the most meaningful impact on your product.